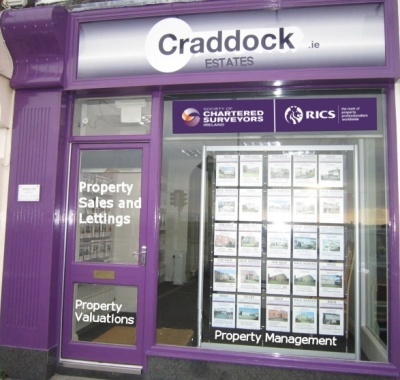 Craddock Estates provide residential property advice for buyers, sellers and tenants. We also provide commercial property advice to landlords and business owners. We sell residential and commercial property throughout the North Dublin peninsula providing personal service and local knowledge to discerning clients who want honest advice and old fashioned service at an affordable price. A good estate agent will know the law, have a grounding in planning and be familiar with the concept of fiduciary care. Ethical, honest, hard working and constantly learning, your Craddock Estates Agent will make sure that you get the best service that money can buy. From our office in Clontarf we cover the North Dublin peninsula with contacts, family and friends from Swords to Howth to East Wall, and everywhere in between. Property IS personal. The Irish fascination with owning property makes every transaction one in which they have a huge personal interest. Dealing with only one agent from start to finish will make your experience with Craddock Estates less stressful than dealing with our competitors.